Qualification : B Com from a recognized University. Qualification : Master’s Degree from the recognized University in Hindi / English with other language than Master’s Degree at graduation level. OR Bachelor’s degree of a recognized University with Hindi / English with a recognized Diploma in Translation from Hindi to English and vice versa. 2. Two years experience of translation work from Hindi to English and vice versa in Central / State Government Offices including Government of India Undertakings proof correction. Qualification : 1. Senior Secondary School Certificate (Class XII) 2. Shorthand speed of 80 words per minute and typing speed 40 words per minute in English. OR Shorthand speed of 60 words per minutes and typing speed of 30 words per minute in Hindi. Qualification : Senior Secondary (Class XII) certificate from a recognized Board with 50% marks and possessing minimum speed of 30 words per minutes in English typing or 25 words per minutes in Hindi typing correspond to 10500 KDPH as on average of 5 key depressions for each word. 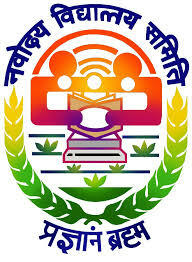 OR Passed +2 level or Senior Secondary Certificate from CBSE/State Govt. With Secretarial Practices and Office Management as Vocational Subjects. Qualification : a) Passed Sr. Secondary Examination (Class XII) or equivalent and b) Grade ‘A’(Three years) Diploma/Certificate in Nursing from recognized Institution. OR B.Sc(Nursing) from a recognised University/ Institution. 2. Registration with Indian/ State Nursing Council. 3. Practical experience of two years in Hospital/Clinic. Qualification : 1. Secondary School (X class pass) and 2. Three Years Diploma in Catering or equivalent from an Institution recognized by Ministry of Tourism, Govt. of India/State Govt. OR Passed Sr. Secondary (Class XII) from CBSE with Hotel Management and Catering as Vocational Subject and at least one year experience in catering. OR Passed Sr.Secondary (Class XII) or equivalent and one year diploma in catering or equivalent from a recognized institution with three years experience in catering in reputed institution/hotels. OR Trade proficiency Certificate in Catering with a minimum of 10 years of service in Defence Services of regular establishment (for Ex-Servicemen only. Qualification : Middle Pass with General Science. How to Apply : Interested & Eligible candidates may Apply Online through the website www.nvshq.org or www.mecbsegov.in from 12.11.2017 to 13.12.2017.